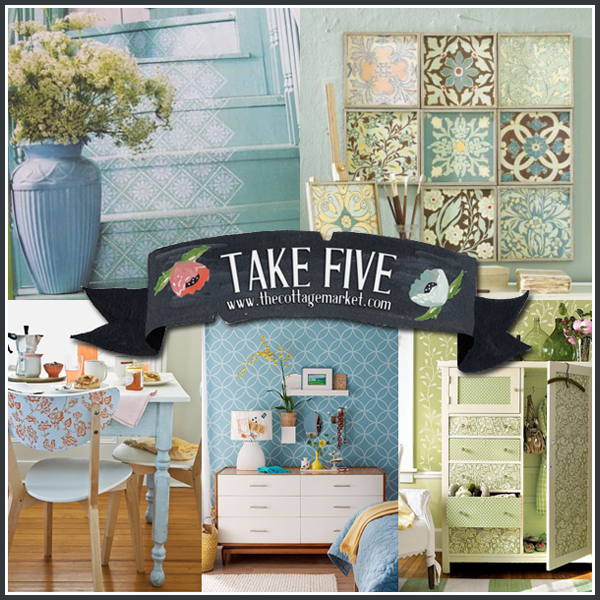 5 Fabulous Weekend Stencil DIY Projects you will love! 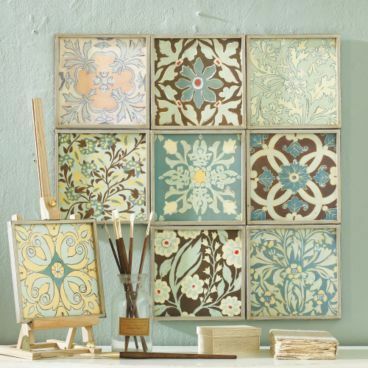 Would you love to do a DIY project this weekend but not sure what? Do you feel as though you don’t want to start something you can’t finish? Well if that is the case…have you thought of stenciling something? How about a focal wall? Better Homes and Gardens fills you in on the DIY…how fabulous is this and yes…you can get it done in a weekend and change the whole personality of the room or just give it a new and fresh feel! 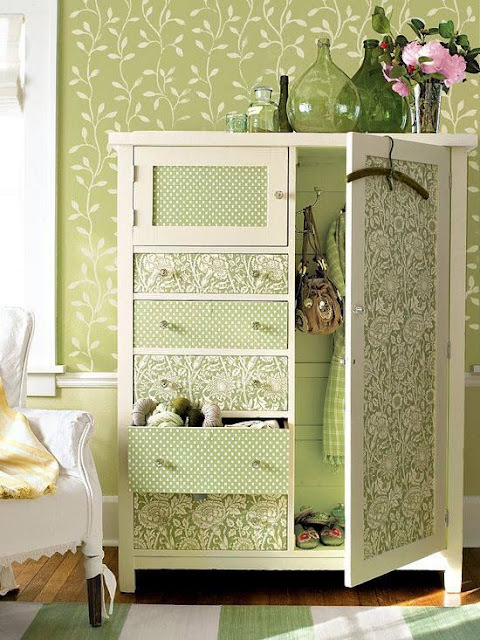 Royal Design Studio shares this gorgeous armoire project…paint and stenciling makes this amazing piece even more amazing! How about creating some unique and sensational artwork? Yep…you can do it this weekend and have it done and hung all before Monday morning! You can have this project done in an afternoon! 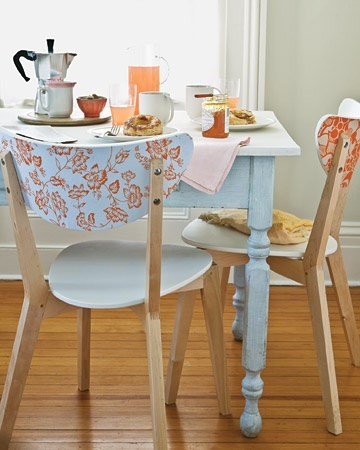 In the morning you might want to hit a flea market and pick up a chair or two…or use some that you have…all you need is the chair…paint and stencils…thow fabulous do these look! Oh the possibilities! Martha sure knows how to rock a project! Are your stairs a little boring? You don’t want to add a rug or a runner to them but still feel as they need a little pop??? How about finding that perfect stencil design and customize your stairs…they look marvelous and you can find the perfect color and design for you and yours family! This can be done over the weekend for sure! So…do any of these look like something that you would love to do? Sure hope so because I think you will have tons of fun and the end result will be amazing! Of course you might be busy this weekend…but these are ideas to tuck away in that Wish List To DO folder. The end result will make everyone smile! Oh I like the idea of the stair runner. I have three stencil projects tee’d up for my living, dining room and lilys room. Hope they turn out 1/2 as good as these. Happy weekend to you! 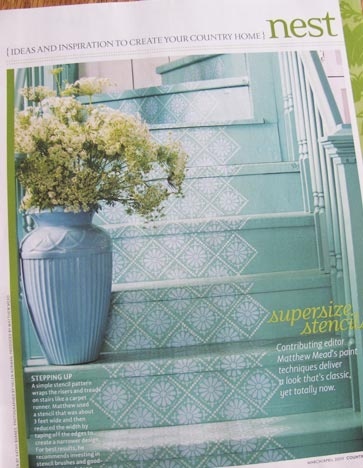 Great ideas–I love the stenciling on the stairs! I really like that lamp shade in the first one! So cute and a great way to add a personal touch. I’ve just started doing DIY vintage button rings. So easy & Super cute!